Chicken nuggets are definitely made of chicken – just maybe not the parts you want to eat. 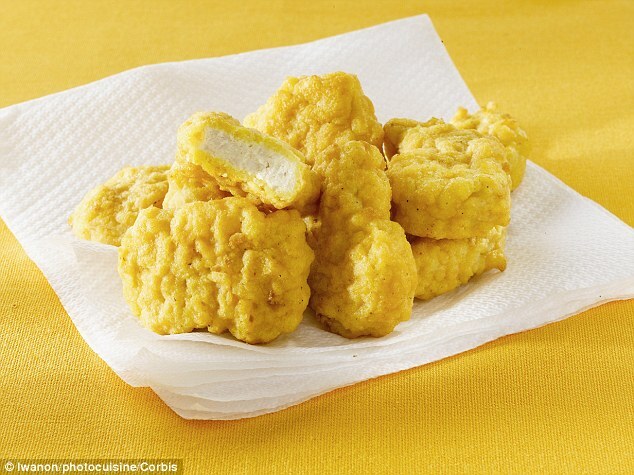 Researchers in Mississippi conducted an ‘autopsy’ of chicken nuggets from two fast food chains in Jackson and confirmed what we all suspected about the mystery-meat medallions: they aren’t too meaty. The first chicken nugget tested was made up of about 50 per cent muscle tissue from the breast or thigh and the rest was made up of unpalatable parts: fat, blood vessels, and nerves. The second chicken nugget was even worse with out 40 per cent muscle, with the rest being made up of fat cartilage and bone. The researchers decided not to name the fast food chains. Dr Richard D deShazo, the study’s lead researcher, encourages his patients to eat white chicken meat and while chicken nuggets may look white on the inside, looks can be deceiving. While it’s OK to indulge in the junk food every so often, the problem for deShazo is that some people eat them multiple times a week. Ashley Peterson, a representative of the National Chicken Council, a non-profit trade group which represents the U.S. chicken industry, argued that consumers weren’t being mislead. She pointed out that nutritional information for most fast food chains is available online, and that anything for sale at the grocery store has a list of ingredients. 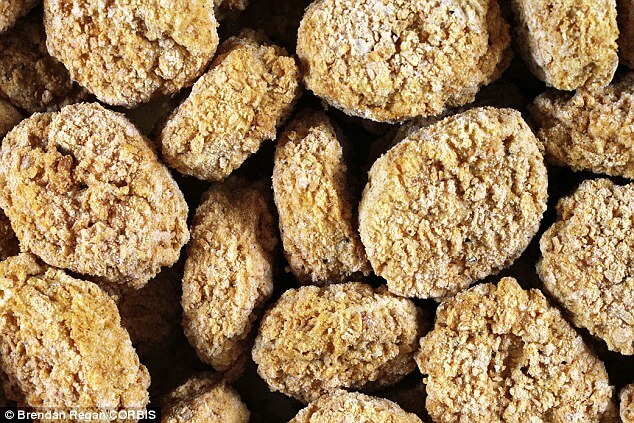 ‘Chicken nuggets tend to have an elevated fat content because they are breaded and fried. But it’s no secret what is in a chicken nugget,’ she said.